My dad’s aunt Elizabeth was a quilter. I didn’t even know we shared this passion until a few years ago, and I was very excited to know there were other quilters in my family. She passed away earlier this year and my dad brought me two big totes of her fabric. Buried in these totes were the blocks below. They could not have been Elizabeth’s, the fabric was old and frail and it wasn’t her “style”. I don’t know how old they are, but I love the mystery behind it. I would love to know who quilted these and why. These are especially dear to me as I am a “Sue”. 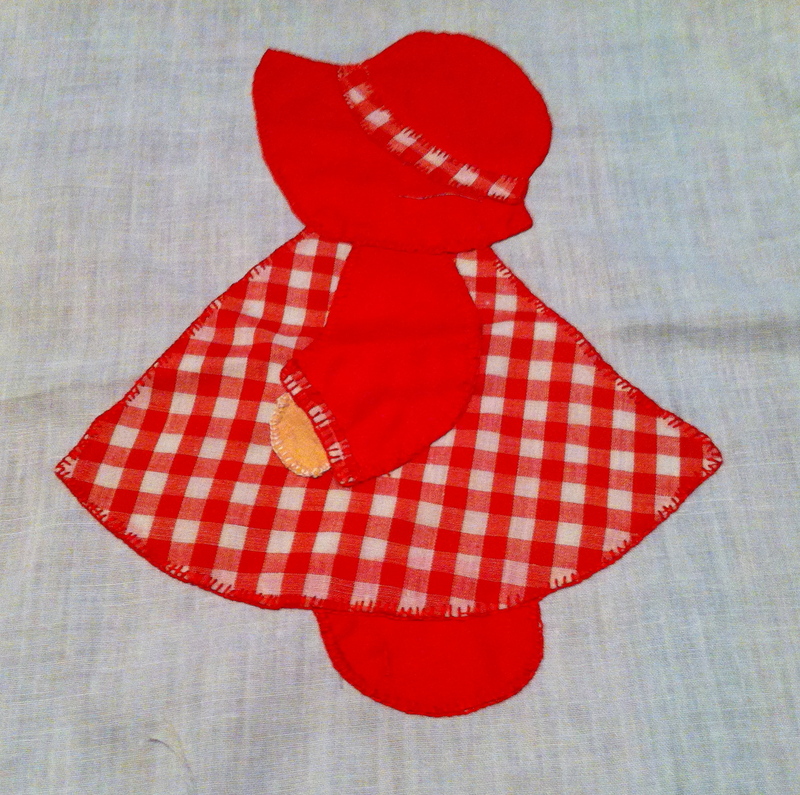 I have always been intrigued by the Sun Bonnet Sue block, I’m not sure why I never made one. 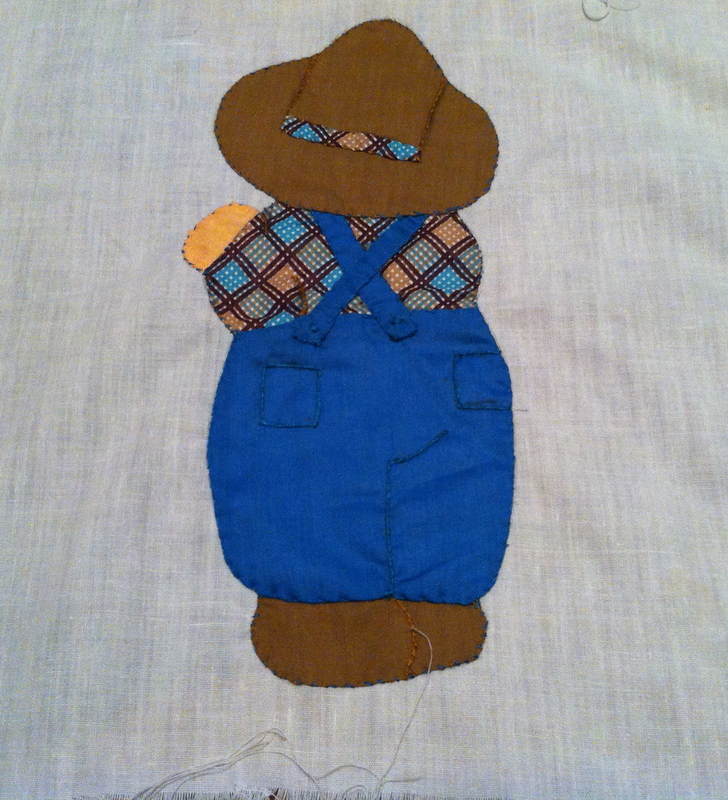 Especially since I love to hand appliqué. I guess that will have to go on the list. For now, these cuties will go in frames and hang together in my sewing room. I will look at these blocks and think of Elizabeth and the mystery quilters from the past. « It’s a new day… and a new site!